From states with no sales tax to destinations that are home to incredible shopping districts, these 10 states are the best in the U.S. when it comes to retail. So, bring your credit card and and empty suitcase and shop ’till you drop in any of these hot spots. In Massachusetts, clothing is exempt from sales tax (unless the item costs more than $175, which then is taxed 6.25 percent on the amount over the basic exemption). So, unless you're planning on buying a lot of luxury goods, you won't encounter a sales tax on clothing. 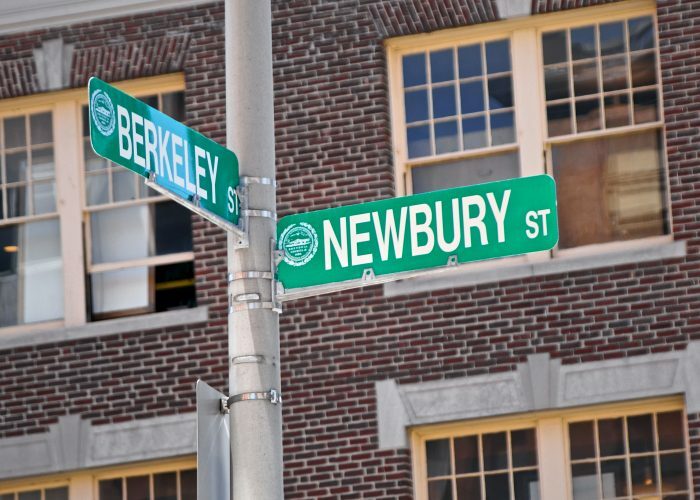 Boston itself has great shopping areas—like Newbury Street in Back Bay, Assembly Row in Somerville, Harvard Square in Cambridge, Coolidge Corner in Brookline, and Charles Street in Beacon Hill. Outside of the city you'll find plenty of malls and outlet shopping too. Wrentham Village Premium Outlets are the most well-known, but there are other shopping areas like Lee Outlets in Western Mass., Cape Cod Mall in Hyannis, Legacy Place in Dedham, Patriot Place in Foxboro, and The Natick Mall in Natick. New Hampshire is just one of five states that has no sales tax. Combine zero sales tax with the state's extensive outlet offerings, and you'll find some of the most inexpensive clothing in the country here. Because of the sales tax exemption, there are tons of outlet stores in the state—Settler's Green Outlet Village in North Conway (where you'll also find the L.L. Bean Outlet), Tanger Outlets in Tilton, and Merrimack Premium Outlets in Merrimack, just to name a few. 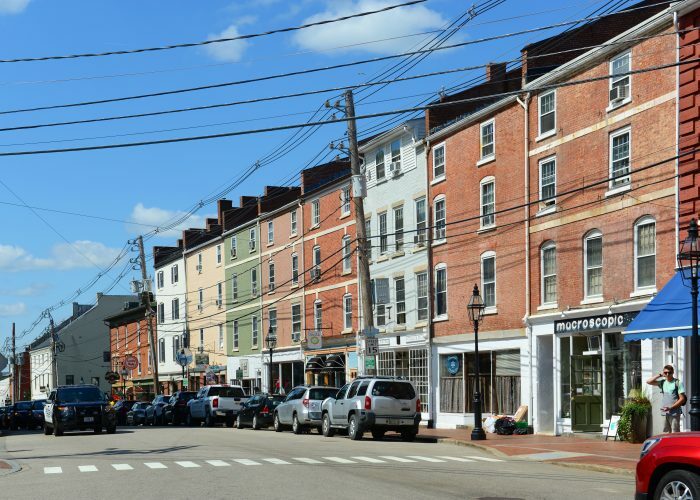 Portsmouth, a waterfront area located right on the state's border with Maine, has great boutique shops as well. Located in another state that has no sales tax, Oregon's chic capital Portland (and the surrounding areas), is a great shopping destination. From the indie boutiques in Hawthorne to Pioneer Place's big-brand stores, you can easily spend a weekend in Portland just shopping. Check out their neighborhood shopping guides to map out your trip accordingly. Bend also offers a great mix of boutiques and larger brand stores. 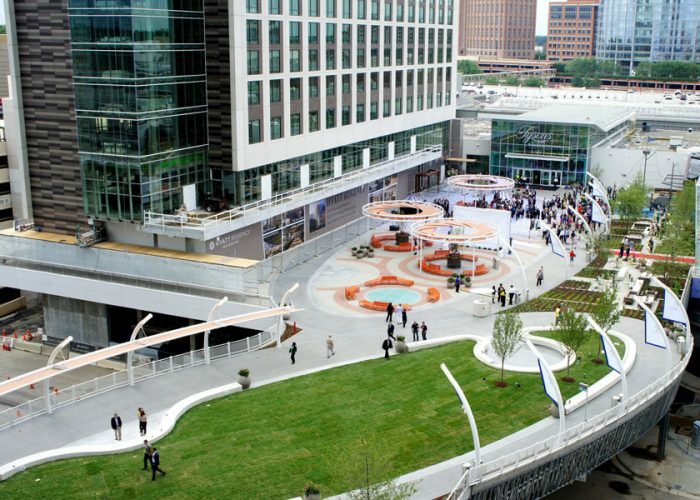 Start out downtown in the historic district and Old Mill District. There is also the Bend River Promenade, Cascade Village Shopping Center, and Bend Factory Stores which have the latest deals. 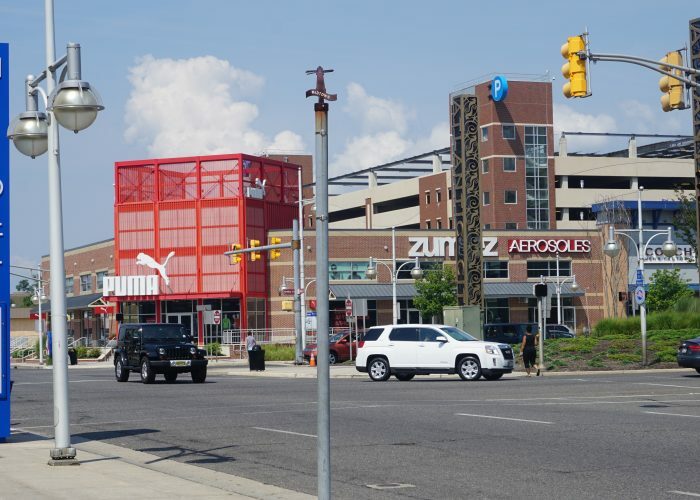 In New Jersey clothing is exempt from sales tax, however; it's one of the largest shopping areas in the world, with close to 20 malls that are over 1 million square feet. For a small state, New Jersey sure does pack a lot of shopping areas. Paramus, or "the land of many malls", has four major shopping malls in its zip code, including the Outlets at Bergen Town Center and Westfield Garden State Plaza, just keep in mind that they are closed on Sundays. Other destination-worthy malls include The Mills at Jersey Gardens in Elizabeth, Short Hills Mall in Short Hills, and Cherry Hill Mall in Cherry Hill. The Ocean State offers no sales tax on clothes under $250, and has a great mix of boutique districts and big-brand malls to explore. 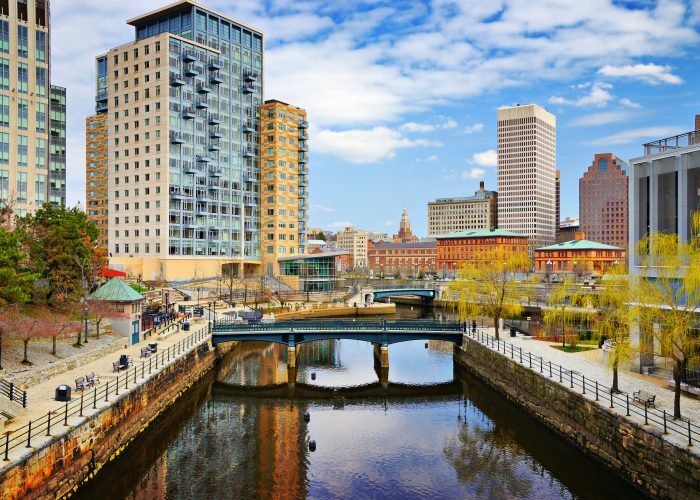 In Providence you'll find Thayer Street, offering unique stores and boutiques as well as Arcade Providence, with stores exclusive to Rhode Island. Providence Place, located right off the highway is the the city's large shopping mall. 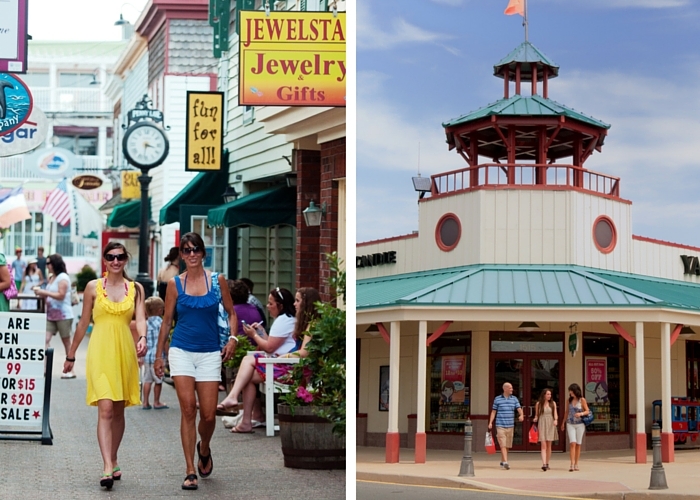 Newport is also a great shopping city, located on the waterfront with historic charm and boutiques. And, Garden City Center in Cranston also offers outdoor shopping, with large retail chains. New York's sales tax law is a little confusing, but if you shop smart you can avoid it all together. In nine counties, including New York City, there is no sales tax on an item of clothing or footwear that is under $110 because the state waives their four percent portion. In the other counties, sales tax rates will vary, as local taxes come into play. So for example, in Syracuse, you'll only be charged their local tax (4 percent) for an item under $110. But, for anything over $110, local and state taxes will be charged, and for New York City, that's a total of 8.875 percent, which can add up. 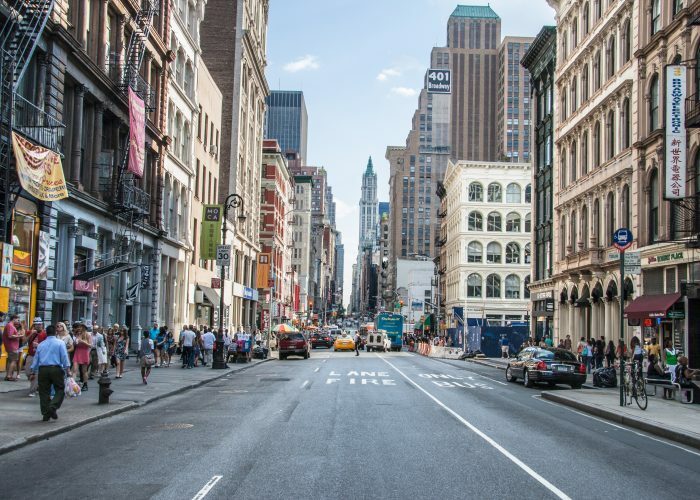 So, while you do have to shop smart in New York to avoid the sales tax, there is no denying that NYC is the fashion capital of the U.S. From Soho to Brooklyn, the shopping in NYC is among the best in the world—just keep your purchases under $110. Clothing is exempt from sales tax in Pennsylvania, making the state and its major cities an ideal shopping destination. 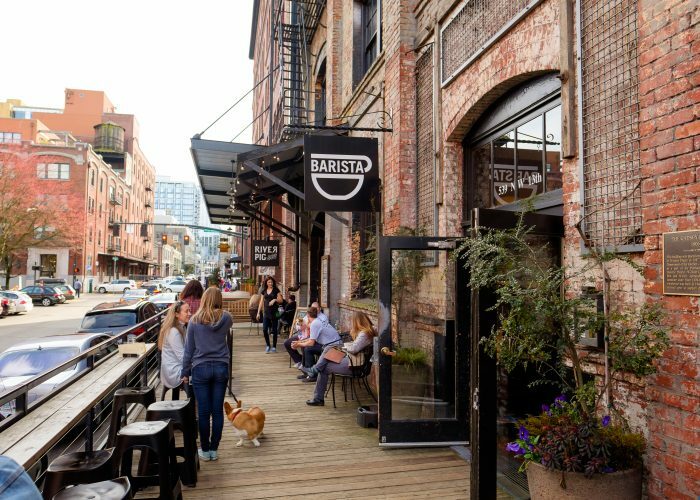 Philadelphia offers unique shopping districts, from the Shops at Liberty Place to Midtown Village— you can fill a weekend just shopping in Philly. Up-and-coming Pittsburgh also offers boutique shopping and malls in its downtown area. Outside of Philly you will also find the King of Prussia Mall in King of Prussia, which rivals the Mall of America in rankings every year. In August, they are set to open its 100+ store expansion that will make it the largest shopping destination in the U.S. While Virginia does have sales tax on clothing, the general rate for the state is 5.3 percent, with Northern Virginia and Hampton Roads localities at six percent, which is relatively low compared to other states. Despite the fact that it does have sales tax, Northern Virginia is home to one of the East Coast's largest shopping areas, Tysons Corner, also known as the "Rodeo Drive of the East Coast." There are two different areas, Tysons Corner Center which has over 300 stores, and Tysons Galleria, an upscale luxury mall, which even has a Ritz-Carlton connected to it. And, the mall even has its own metro stop. If Tysons is too luxurious for you, there are also outlet malls, boutique shops, and urban village centers like Reston Town Center and Mosaic District also in the area. Washington D.C. (with a general 5.3 percent sales tax) is also easily accessible by public transportation from Northern Virginia. Another state where clothing is tax exempt, Minnesota's shopping does not disappoint. From the urban areas of the Twin Cities to the famous Mall of America, it's one of the best states for shopping. 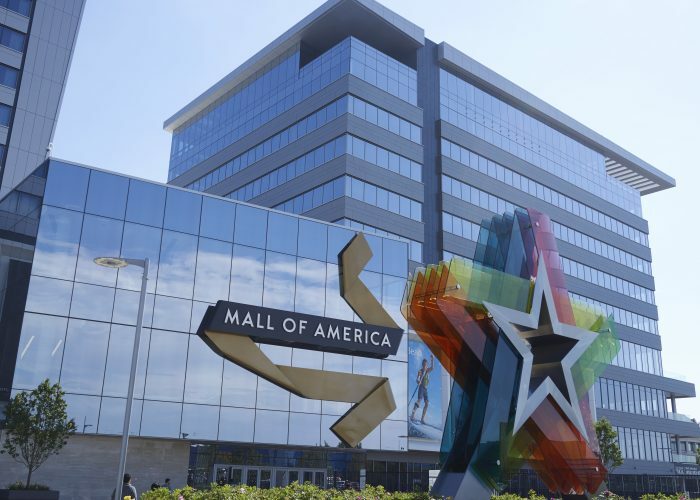 Mall of America obviously comes to mind when you think of shopping destinations--between its size and attractions, it’s the ultimate trip for shoppers. If you're planning a trip, stay at the Radisson Blu Mall of America for even more savings and amenities, like complimentary bag pickup and delivery, so you don't have to lug around your purchases. And while the mall and its attractions make for a one-stop trip, the Twin Cities also offer boutiques, outlets, and downtown shopping districts. Explore Minnesota has even created a 3-day "Mall Crawl" itinerary and an indoor-only shopping guide for when it gets cold. Delaware has no sales tax, and the small state has really capitalized on this exemption, with huge malls and seaside and riverside town centers. 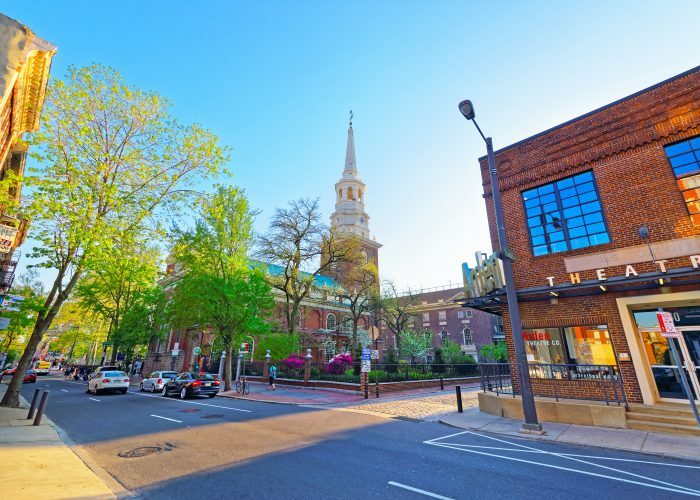 From Christiana Mall near Wilmington to Rehoboth's Tanger Outlets to the charming Main Streets of suburban towns filled with boutiques, Delaware has it all. The state is very popular for back-to-school shopping, as southern beach towns like Rehoboth make for a great end of summer getaway. Duty Free Shopping: Does it Really Save You Money?